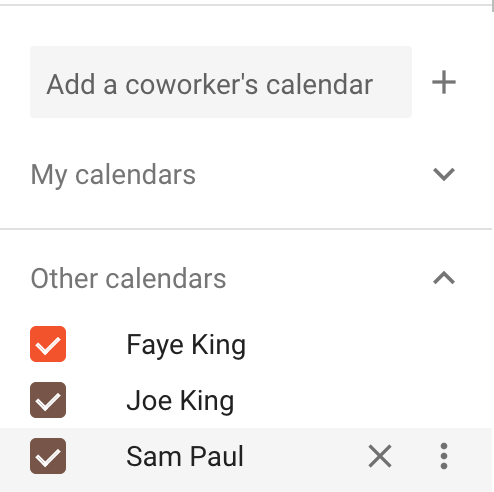 I use Google Calendar for work, and I often need to check certain groups of people's calendars for availability when scheduling things. Is there a way to group a few individuals' calendars into a group like "research team" and group another selection of people into another group like "product team" so that I can show / hide that combination of people's calendars with a single click? Google Calendar doesn't include that as a feature. Another solution could be to use a user-script. I didn't tried this yet. A way to show multiple Google Calendars as busy? How to group several Google Calendars into one calendar without creating a new user account?